Photographs from the political transition in Iraq as the United States military pulled out between 2009-2010. Mahdi flings a scouring pad into a pile in Baghdad's Monsour district on Wednesday, January 21, 2009. 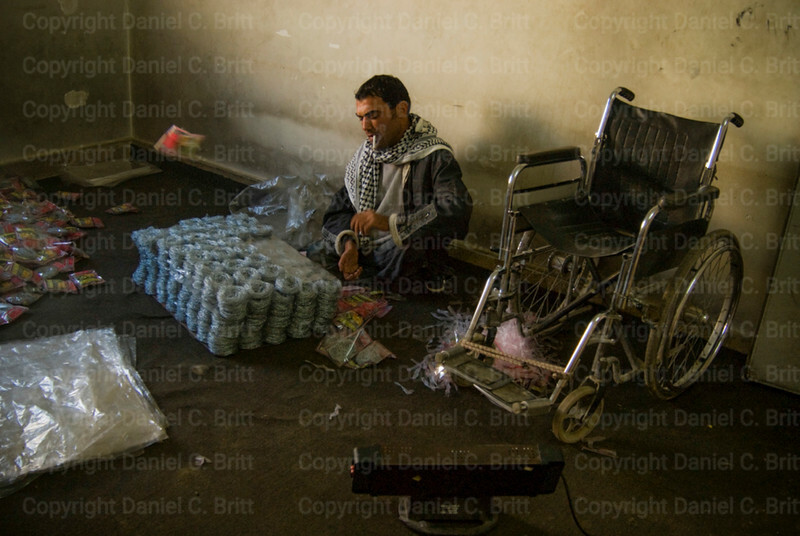 Mahdi lost both legs shortly after the United States invaded Iraq in the early 1990s. A US State Department initiative in 2009 placed him in a Baghdad industrial park packaging scouring pads and steel wire. 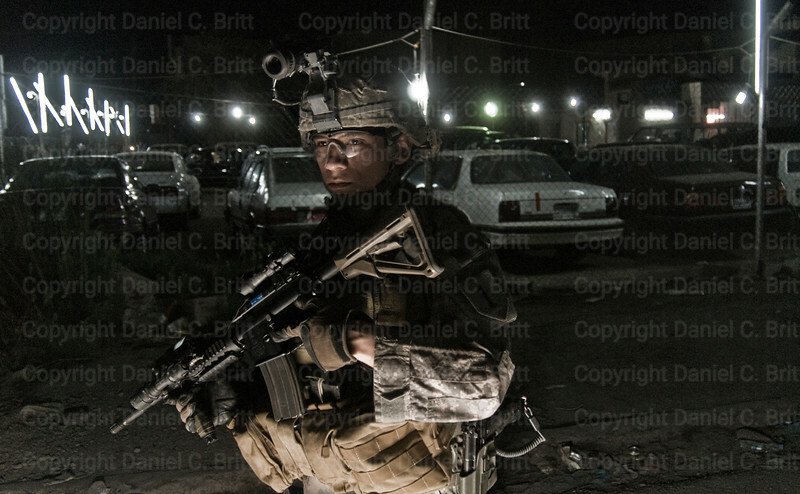 A United States soldier patrols the Baghdad suburb Ghazalea at night on Wednesday, April 22, 2009. 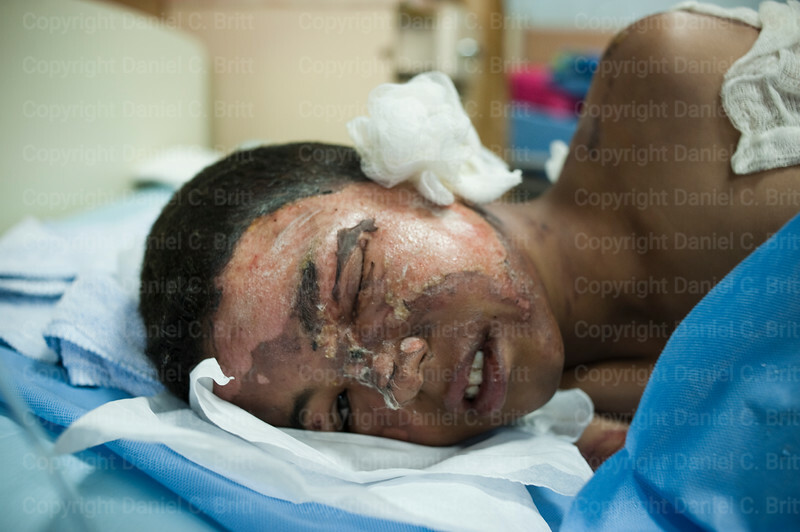 Saleh, 11, recoups at Baghdad Hospital Friday, June 26, 2009. Saleh was hit by shrapnel from a market bomb planted inside for-sale motorcycles and delivered to a central Baghdad bazaar. 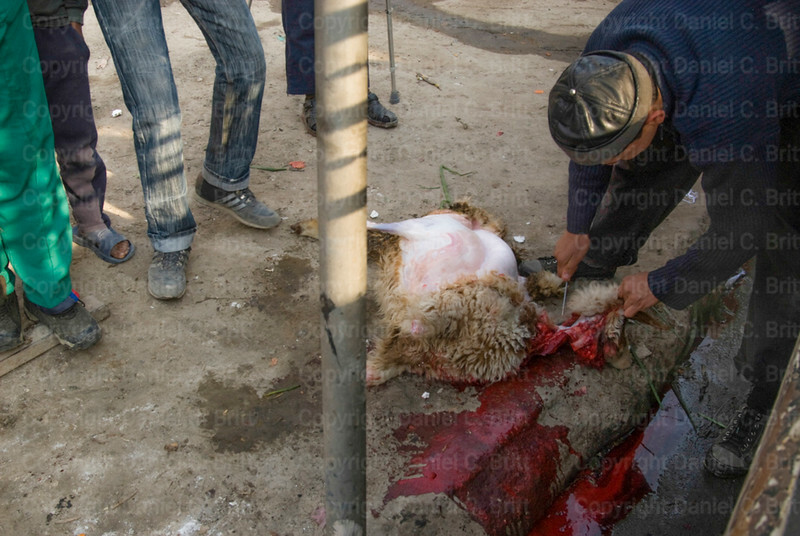 A man slaughters a sheep at sunset in Ghazalea on Friday, January 23, 2009. 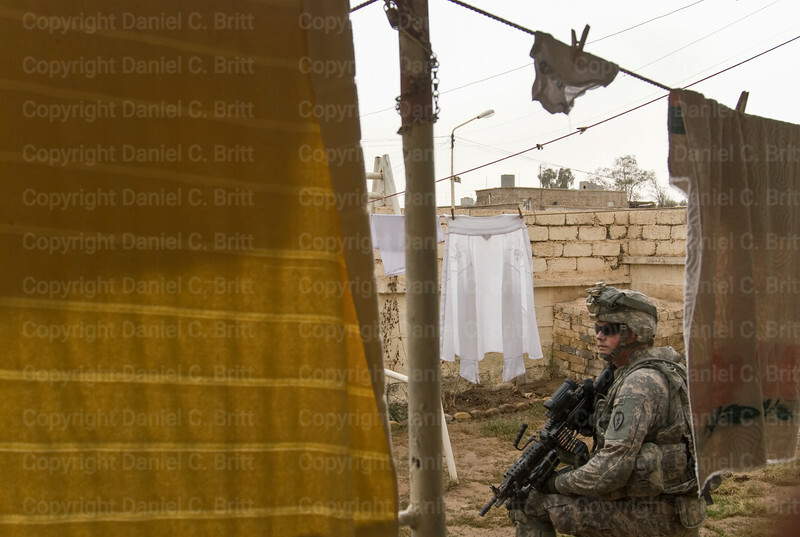 A United States soldier chooses a position beneath a clothesline during a house raid in Bayji on Monday, March 2, 2009. Troops on the raid were looking for weapons and insurgents. 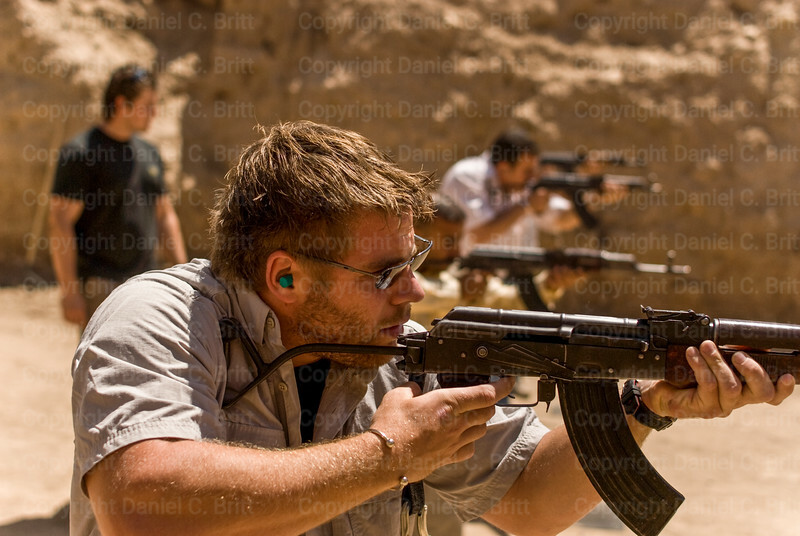 A British mercenary takes aim at a firing range in Baghdad on Monday, June 1, 2009. Dozens of private security companies have sprung up in the Iraqi capital hiring ex-military personnel as body guards for dignitaries and businessmen. These private firms have also been recruiting and training Iraqi locals as hired guns. 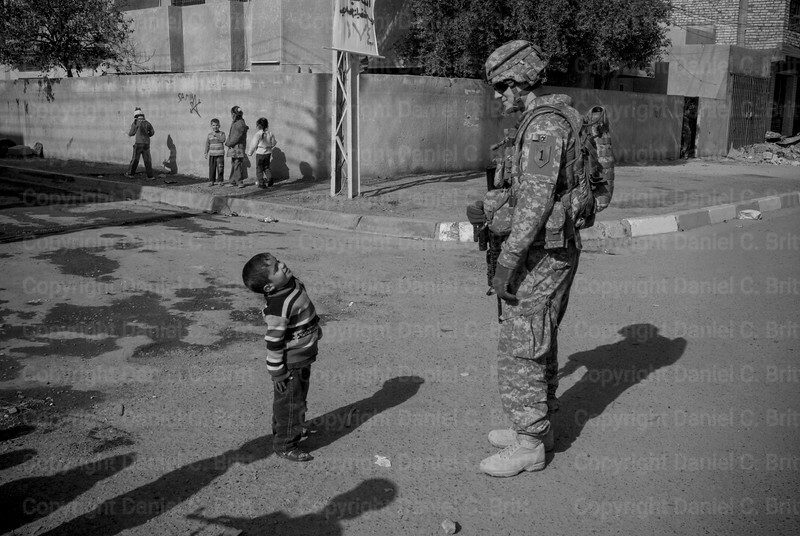 United States Army Lt. Matthew Mattingly and an Iraqi boy measure each other up in Ghazalea on Friday, January 23, 2009. 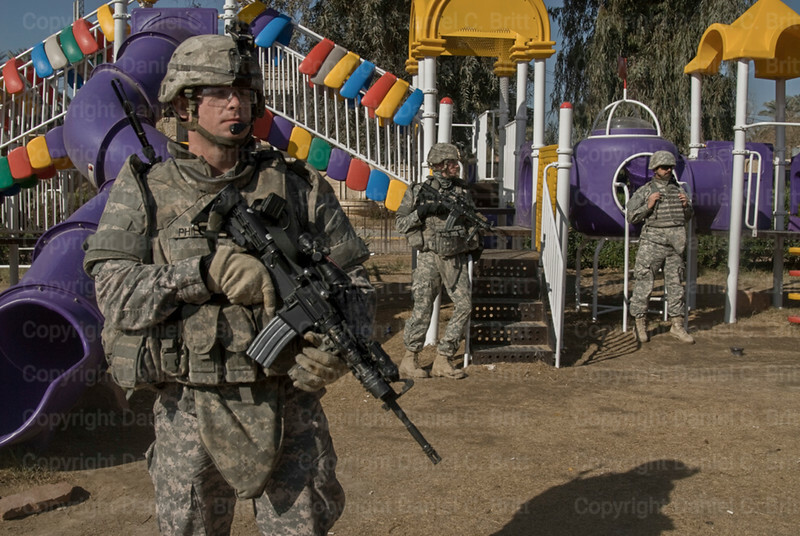 United States soldiers patrol a playground in Baghdad's Monsour district on Saturday, January 17, 2009. 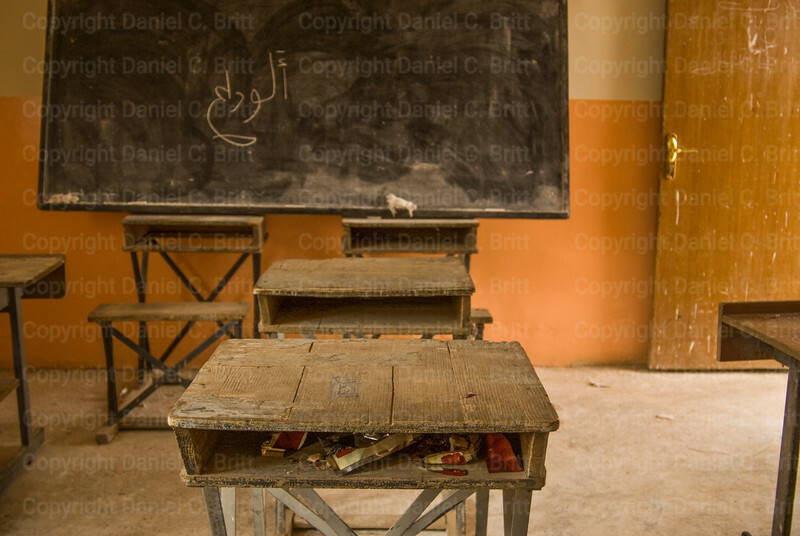 A battered desk sits in a refurbished school in Baghdad on Monday, March 2, 2009. 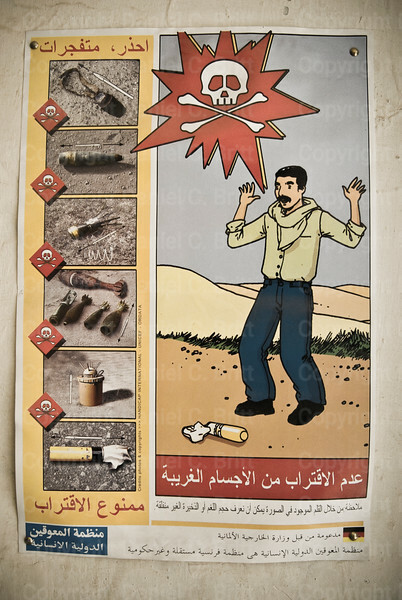 A sign with instructions on how to deal with improvised explosive devices and unexploded ordinance, hangs in a Baghdad school on Friday, January 16, 2009. 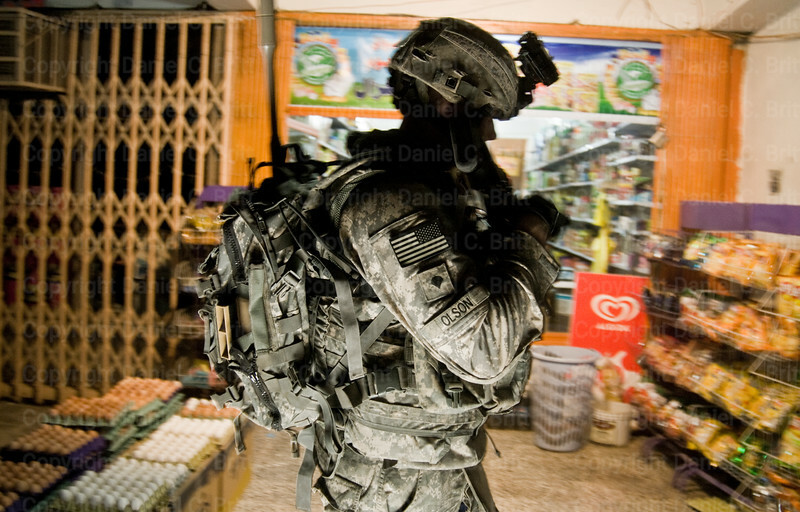 A United States soldier patrols the Baghdad suburb of Ghazalea at night on Wednesday, April 22, 2009. Specialist Charles Lewis of the 10th Mountain Medics prepares to leave Baghdad on June 30, 2009. 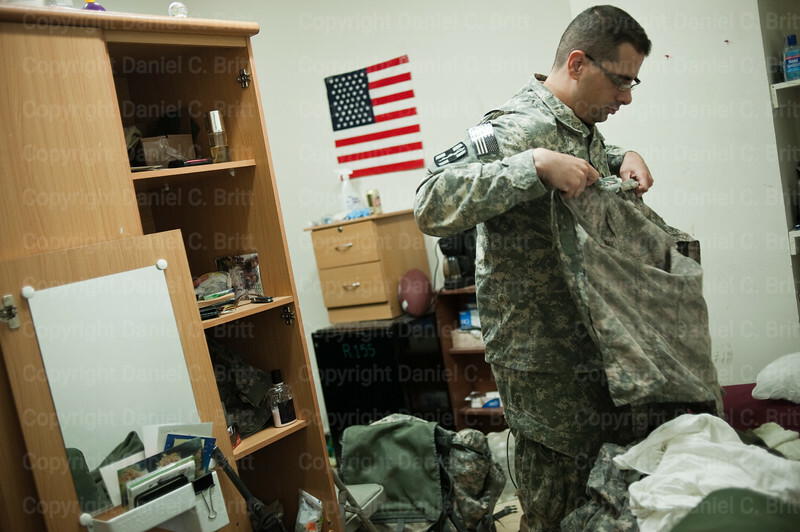 Most United States military personnel drew back from their posts in Iraqi cities weeks before the June deadline. Displaced Aaras Island children return to their encampment on Monday, May 25, 2009. 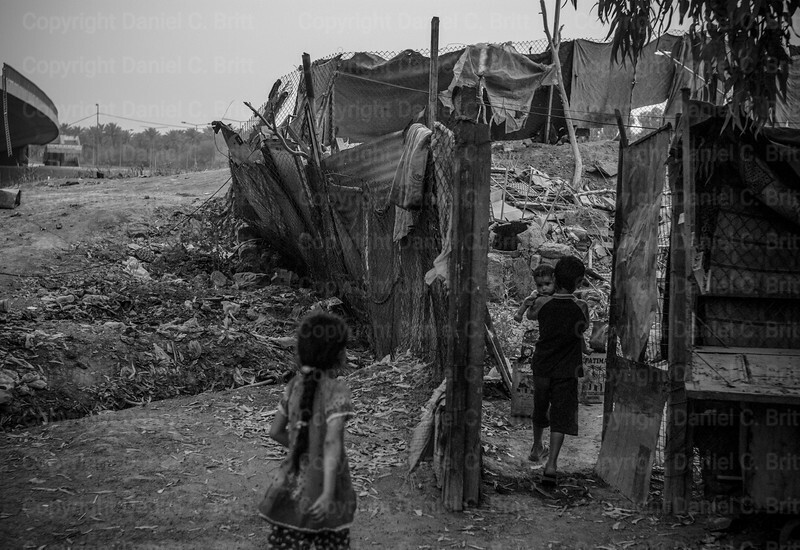 Hundreds of displaced families have taken refuge on the Tigris River island, building houses out of garbage and the remains of abandoned buildings, since sectarian violence divided the capital in 2006.